QUESTION: I want to try another linky thing?! what about a self portrait day?! We are always posting pics of the ones we love...I want to meet/see you!!!! Be thinking....A self portrait linky coming soon!! Love it! Cute pic of little miss! Love that idea! You'll just have to show me how haha I'm blog illiterate :) love you!!!! Cute idea! Look at her eyes...oh my goodness, beautiful! 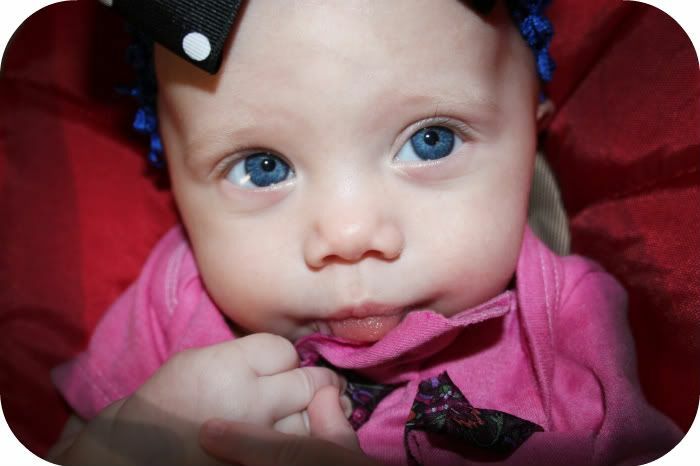 Seriously cutest photo of precious Ainsleigh! Happy Friday. Enjoy the sunshine!